Effectively servicing each client takes a lot. It can take a lot out of you and leave the day seeming like a whirlwind of activity, running behind – or very nearly – and never having enough time to eat and take care of yourself. But I’ve found a way to make the day better; to run on schedule and pace myself for each service: these are The 8 Steps to Successful Client Service. Let me quickly just say that these steps really do work, but there is just one thing that you must do before the first client of the day arrives – you must review your notes and formulas for each client, what products they are using, circle or write down anything that you want to check in about, like that new brush they bought last time, formula changes, the date of their last visit, and any special supplies you might need for their services. I like to use a client ‘traveler’ sheet which any salon computer system can print and which lists all of the above information. Also, check over the bowls, foil, color, products, as well as retail products, to see what’s on hand and what’s not. And check over your schedule to see if you have openings that you can fill by promoting treatments, color, and additional services your client may want. Also, check over your chair and station to make sure it’s clean and welcoming – I use Salon Restore brand products to wipe my chair and station and clean the mirror. Step 1: Greet your client. Say ‘hello’, pour them coffee or whatever they might want to drink, and lead them back to your station. A warm welcome sets the tone for today’s visit. Step 2: Consult. Review what the client would like, what you suggest, and if they are a regular client, review their current formulas and techniques – always look for ways to improve and update, unless of course everything is perfect in which case you are retouching the work. Drape the client with the needed rhobe/cape/towel. Step 3: Shampoo and Treat. Explain what you are using and why! Step 4: Perform the Service. Do exactly what you had talked about. If, once you get into the service, there needs to be some change, explain what’s going on and why there needs to be a change. If the change adds cost, it’s a good idea to mention this. Set the products used in the finish on the station in front of the client – keep it simple and put the products in order: protectant, fixative, finisher. If at any time haircolor gets on the clients clothing or on yours, immediate spray some Miracle Dye & Ink Remover to insure that haircolor stains will come out in the laundry. Step 5: Products. Don’t cringe! Selling is nothing more than sharing. You’ve already told and shown the client what you used today. Now walk up to the shelves and point out the products. Also point out promotions that are currently going on and sale items. Step 6: Checkout. Make sure you have updated your traveler sheet with the services that you did and your notes from today. Step 7: Rebook. Please take my advice. You want your work life to be as predictable as possible and you also want your client to get the time and day that they want. PREBOOK them for their next appointment; they can put it right into their smart-phone. We actually offer a $5 discount off their next appointment if they prebook it, even if they need to call and move the appointment. Either way, bring up the idea of booking with every client every time – they’ll appreciate and respect you for it. Step 8: Notes. Before the day is done I fish out my traveler sheets from the desk and make sure any new notes are put into the system. When the desk is slow they can also do this for you but I prefer to do it myself since only I know what my handwriting means. If your software system offers an App for your phone or tablet, then put the notes in while the client is there if you can. Congratulations on a an amazing day! By knowing these 8 Steps of Successful Salon Client Service you can keep yourself and the salon clean and organized and have your clients coming back for many years to come. 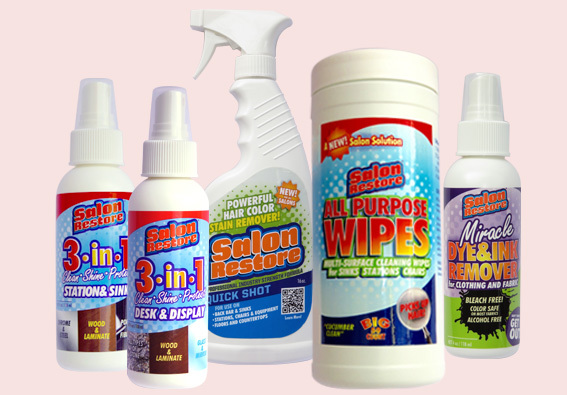 For more on Salon Restore brand products, please click here.